Application program interfaces (APIs) make it possible to manage software applications, linking components with each other, mobile devices and browsers. If you build an API the right way, it can help assure functional integration and developer loyalty; if you do it the wrong way, you could compromise an entire project. There are many decisions to be made when it comes to APIs. For example, should you make use of an open API? Do you want to foster a community of developers around your API? Explore your options in this essential guide with tips from experts including Alex Gaber, API evangelist. 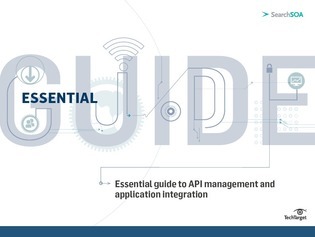 Check out a range of stories that highlight examples of successful API management, trends with the technology, and key terms developers need to know.